One lucky participant (must be in the live audience) will win a 16GB WiFi iPad. Paperless Tax Workflow Readiness Now - to Streamline Efficiencies and Increase Productivity for Tax and Accounting Professionals. Archived Webcast - Watch it online now! Our program has been approved by NASBA (National Association of State Boards of Accountancy). This December 9 program offers one CPE credit for registrants participating in our one-hour webcast. Paperless Tax Workflow is saving time and increasing productivity for tax and accounting firms. Find out how to optimize your paperless tax workflow in this informative and easy to follow session. More firms are putting this concept of paperless office to work to save time and improve productivity and reduce staff hours. How to implement your Paperless Tax Workflow in your firm. Increase productivity and reduce hours per tax return. Tips on how to avoid implementation problems. Ed leads the Copanion team as President and CEO. Ed has progressively emerged as a voice in the tax and accounting industry, specifically in the areas of tax document automation, scanning, and the paperless tax workflow. He has been featured as a content expert in The CPA Technology Advisor, Accounting Today, and USAToday. He was also awarded The CPA Technology Advisor's coveted 40 Under 40 award in 2009 and played an integral role in Copanion's back-to-back Technology Innovation Award wins in 2008 and 2009. He is also a featured speaker at events hosted by the AICPA. Gregory L. LaFollette, CPA.CITP is the Host of the Accounting Tech Online Series. 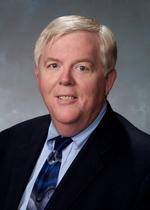 Mr. LaFollette has been involved with public accounting for nearly 40 years, first as a staff member in a large regional firm, then as partner in the local firm he founded. His prior positions include vice president of product strategy for the Tax & Accounting business of Thomson Reuters and editor of The CPA Technology Advisor magazine. He is a senior manager of Tax and Technology Consulting with the Top 25 firm of Eide Bailly, LLP. Mr. LaFollette is a national speaker for CPA societies, state bar associations, industry groups, and computer user groups. He has published hundreds of articles on financial services and computer systems management. As a pioneer in the application of technology to informing his profession, he has produced and hosted hundreds of webcasts and podcasts. Is your firm ready to go paperless for tax preparation? What are three key elements to indicate a firms ability to go paperless? What best practices in other firms should be considered in your firm? What potential pitfalls should be avoided in developing your Paperless Tax Workflow? How to tailor Paperless Tax Workflow for your own unique firm operation? Program registration requirements: Advance registration required here. Refund policy: N/A -- Program is offered at no cost. Complaint resolution policy: Complaints can be made by phone, email, or physical mail to RUSSELL FLAGG at (212) 286-0333, flaggmgmt@msn.com, 353 Lexington, New York, NY 10016. Once we have received we will investigate and respond within 30 days. If you feel our response is unsatisfactory we ask that you so notify us and the National Registry of CPE Sponsors, NASBA, 150 Fourth Avenue North, Suite 700, Nashville, TN 37219-2417. Flagg Management, Inc. and Accounting Tech Online are registered with the National Association of State Boards of Accountancy (NASBA), as a sponsor of continuing professional education on the National Registry of CPE Sponsors. State boards of accountancy have final authority on the acceptance of individual courses for CPE credit. Complaints regarding registered sponsors may be addressed to the National Registry of CPE Sponsors, 150 Fourth Avenue North, Suite 700, Nashville, TN 37219-2417. website: www.nasba.org.